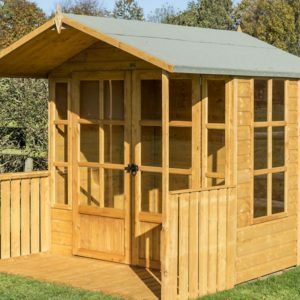 The Rowlinson Ryton 8×6 is a stylish summerhouse with an octagonal roof. 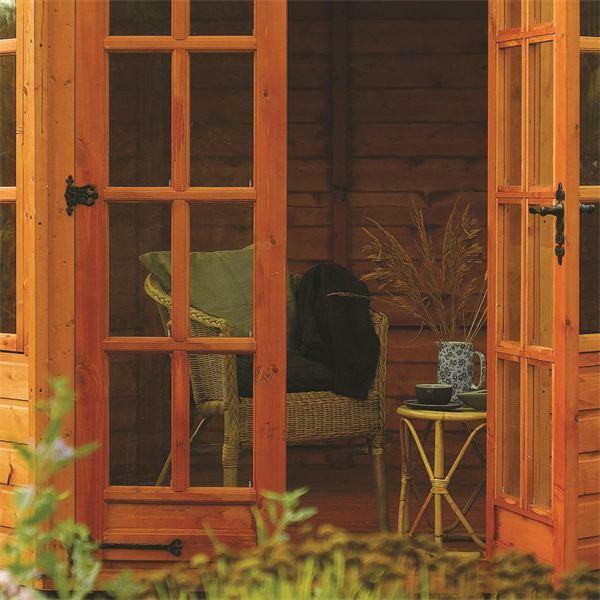 This summerhouse is equipped with four opening windows and locking double doors. 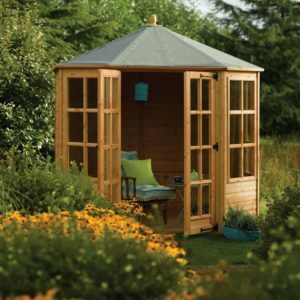 This Ryton summerhouse is equally at home sited in the corner or in the middle of the garden. 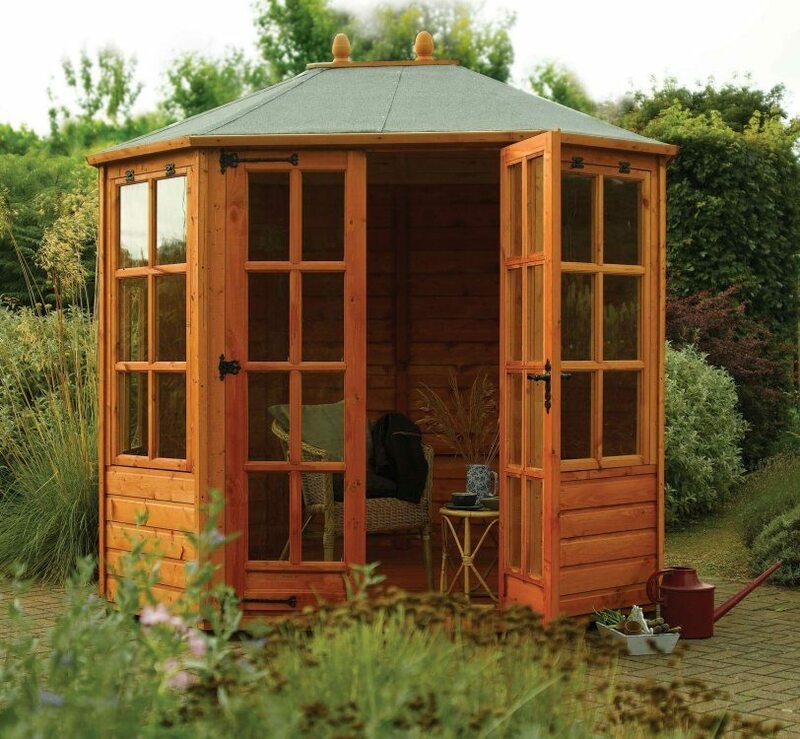 There is also a Ryton 8’ x 8’ Summerhouse for those who require more internal space. The wall sections are clad with a 12mm finished shiplap cladding. While the roof uses plywood the floor is made of tongue and groove (TGV) boards. 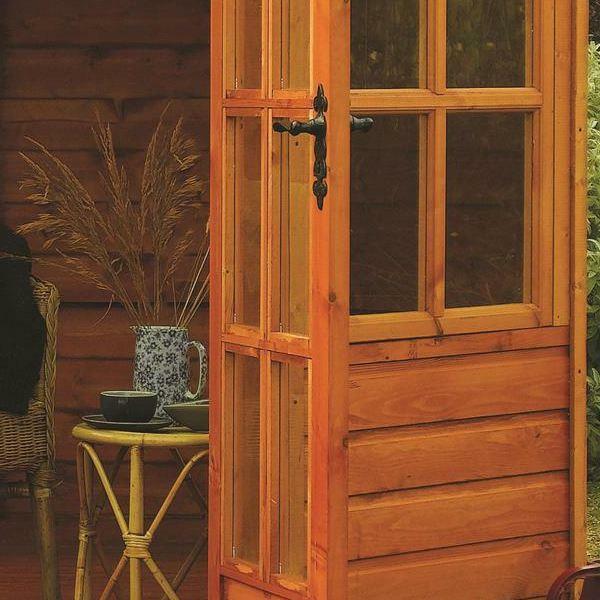 It is important (as with all timber buildings) that the summerhouse is placed on pressure treated bearers. This is to ensure the timbers are not in ground contact. More details are in the building assembly instructions. 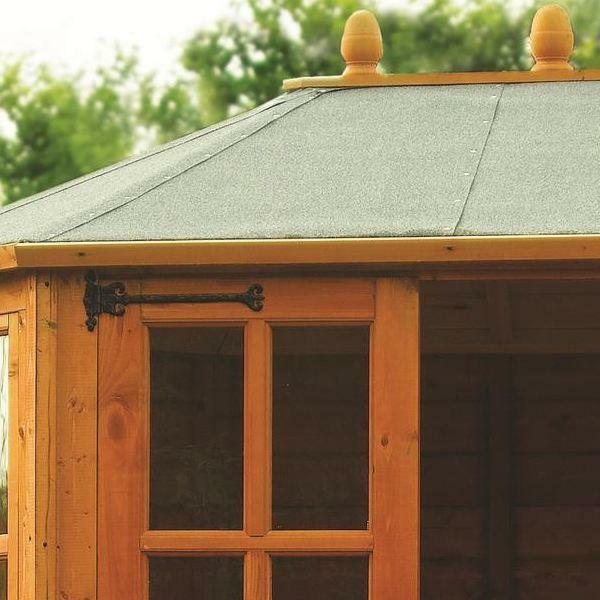 The building is supplied with mineral felt for the octagonal shaped roof. Both windows and the double doors are glazed with 3mm toughened glass. This timber building is supplied ready stained but Rowlinsons describe this as “only a preparatory treatment. 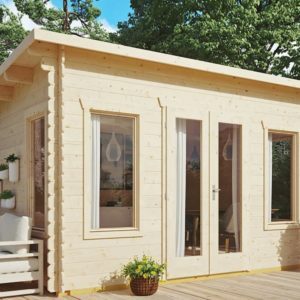 Also to VALIDATE the guarantee, the building must be properly treated with a recognised external wood preserver WITHIN 3 MONTHS of assembly and RE-TREATED ANNUALLY thereafter”. Rowlinson’s recommend therefore that a suitable wood preservative is applied to both sides of the floor before assembly. The whole of the building’s timbers should therefore be treated with your preferred finish of Woodstain or paint as soon as possible after assembly. Ensure your chosen finish is suitable for use with planed (as opposed to sawn) timber. 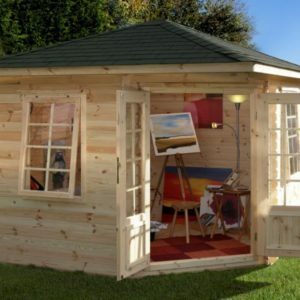 The Rowgar Ryton Summerhouse is delivered to kerbside in flat pack form for customer assembly. Each product is supplied with comprehensive Assembly Instructions. Also they are downloadable from this page in PDF format.